A significant amount of disabled workers have paid into a long-term disability (LTD) plan, either through a previous employer or through an independent insurance policy. This can be very beneficial to claimants filing for Social Security Disability benefits given the length of that process. 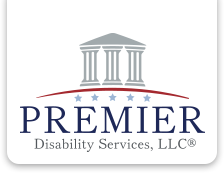 During the period of time a Social Security Disability claim is pending, the long-term disability benefits are extremely valuable in keeping a claimant and their family afloat financially. What Medical Conditions should I include on my Application for Benefits? When filing an application for Social Security Disability benefits, a claimant is required to list their medical conditions. Claimants sometimes make the mistake of only listing the medical conditions they feel are disabling. In fact, it is important for a claimant to list all of their medical conditions that are expected to last, or have lasted, for twelve months or more. The reason this is important is that the Social Security Administration (SSA) must consider all of a claimant’s impairments and their related symptoms and determine how they would affect their ability to function in a work setting. SSA will consider the claimant’s impairments and their related symptoms and formulate what is called the Residual Functional Capacity (RFC). Medical conditions often have varying degrees of severity. For example, a person’s symptoms of depression can range from mild to very severe. A spinal condition for some people can be treated with simple over the counter medications while some spinal conditions require surgical intervention. Even cancer, a very serious illness, can have a wide range of severity level. Specifically, some forms of cancer can be treated successfully with surgery and radiation. Unfortunately, more severe types of cancer are classified as terminal.